"If it excites you & scares you at the same time, It might be a good thing to try." 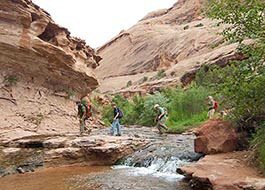 Starting amongst ancient petrified sand dunes we hike our way downhill to a dry sand and rock wash. Quickly the wash disappears over an edge, plunging into the depths of a hidden chasm. "We go down there?" is the usual question after peering over the edge, and indeed we do! 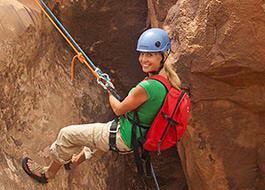 This exquisite rappel is the first obstacle in reaching the entrance to the amazing Grotto. Now, almost totally enclosed in a small stone room, we exit to find our next challenge; an incredible rappel into an alluring green canyon below via an enormous natural stone bridge! 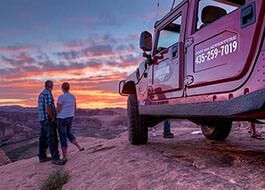 Detailed canyoneering instruction and a back-up safety system allows even the first-time canyoneer a chance to experience this exciting activity. 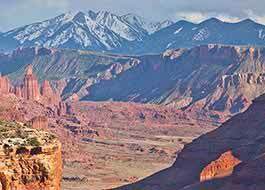 Insights into the geology, plant life and natural history provide a depth to your adventure. A cool spring-fed stream accompanies us for the rest of this outstanding hike. From the sunny desert terrain of Sand Flats, to the shadowy coolness of Ephedra's Grotto and Morning Glory Arch, and descending into a deep canyon where gurgling springs emerge from cracks in the canyon wall... and multiple stream crossings... you get perspectives on the desert that only the adventurous can! Guides are serious about safety, they know where the dangers are, and how to keep you from them. They also teach you how to overcome what fear you may have and exchange them for fun and the joy of conquering what you did not think you could do. 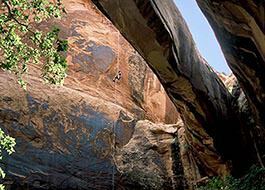 It can be tough to capture the experience of canyoneering in a camera or even in words. But you know what you feel when you accomplish the challenge of doing something truly unique in a place that is singularly remarkable in beauty and scale. 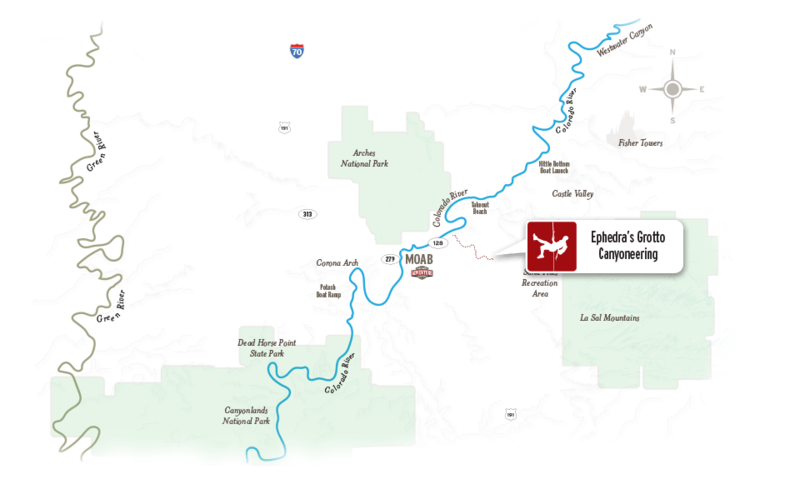 Before we left for our Ephedras Grotto Canyoneering Trip. 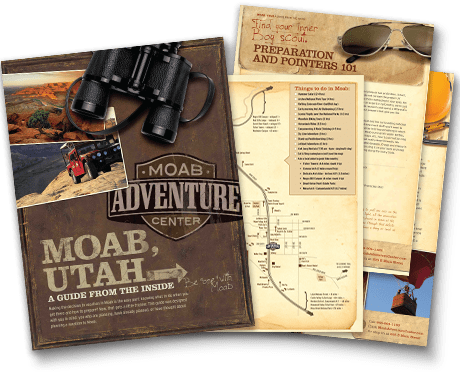 The Moab Adventure Center sent us solid information and suggested gear/materials to bring along. Our guide was absolutely fantastic, from exhibiting a fantastic knowledge of the area to cracking jokes with the crew, we could not have asked for a better guide. Rappelling was an unforgettable experience and the sites of the trip were amazing. Rappelled 120′ Off an Arch! No issues in getting activities set up! Our guide for our canyoneering trip was knowledgeable in all aspects, safety was a high priority, still was able to keep things fun and took an interest in those he was leading! My husband and I had such a great time. This is an awesome memory we get to share together!